Protective cases with engineered cushioning are almost always necessary for delicate equipment. This cushioning is essential to protecting the equipment during transit and storage, which could be anything from military field equipment, a laptop, or a sensitive communication system. Our team of certified packaging engineers will work with you to understand your requirements to design a custom insert that provides the proper protection to ensure the safety of your sensitive product inside. Whether used by a mechanic or a solider, it is imperative for our customers to have all of the right equipment on hand at all times. UFP Technologies can help ensure that this occurs with its custom fabricated foam inserts that provide the best protection and storage for tools, wiring, and/or replacement/repair kits. UFP Technologies in-house engineering team utilizes the latest CAD software programs to design each custom foam inserts’ layout. These systems allow for rapid inventory, while ensuring that nothing can be left behind or forgotten during an inventory check. Protective case and foam solutions provide an easy way to keep all the necessary tools and devices together in one place. Tool control is an excellent example to demonstrate equipment assurance. 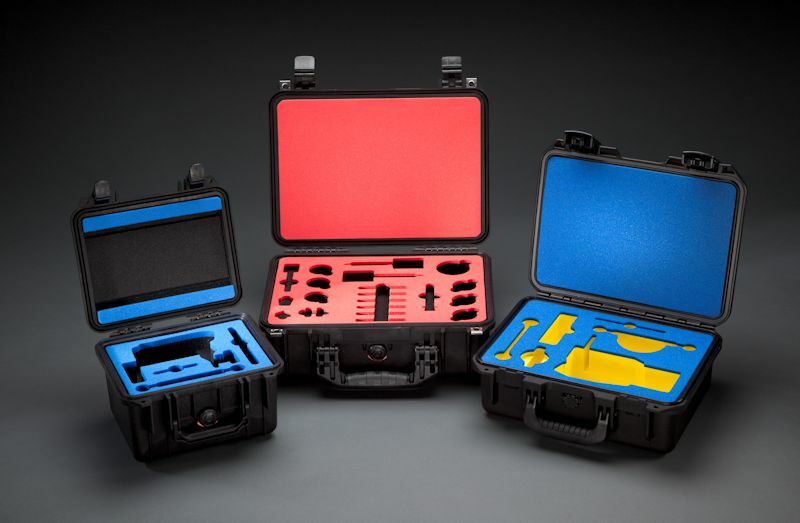 UFP Technologies’ custom foam inserts are also essential in the organization and support of protective cases that hold different types of tools, or tools that are of a non-standard shape. In these instances, the tools need to travel together but cannot simply be let loose in a protective case together (i.e. a laptop and a power drill). To solve this challenge, UFP Technologies can design a custom insert that protects and organizes multiple items. Custom foam inserts are also helpful in creating a unique, polished and original presentation. UFP Technologies can fabricate your logo or text within the insert, and has access to foams in multiple colors to help enhance brand recognition and differentiate your product from your competitors. Custom foam inserts increase the professionalism and perceived quality of a product. Whatever the custom foam application, UFP Technologies’ engineering team can provide its aerospace & defense customers the safest and most effective solution. With our extensive protective packaging design knowledge and experience, combined with tightly controlled quality systems, expansive manufacturing capabilities and access to the world’s most advanced protective cases and packaging foams, UFP Technologies has the ability to get the job done right.